Ok, running 1992-95 hatch. Any set up, build, motor work advice? Is someone running this style around a circle track and will advise a proper suspension set up? cam choice? tire etc? Depends on what the rules are for your track. We have several guys running 5th gen civics in the Hornet class locally, and my brother runs a 5th gen in Nor Cal. 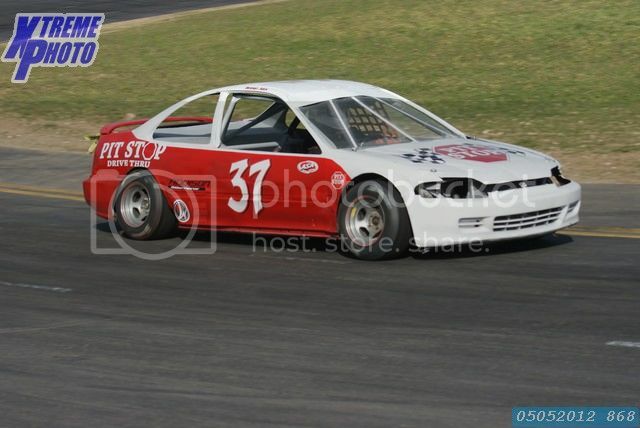 I'm running a 92 coupe as a full blown Mini Stock race car. Gutted & caged, B18b swap, and fully adjustable coilover suspension package. Can you post up your rules package? So what car should I look for? Is that the 1.6 or 1.8?? Oh 2.4 is that in like the prelude?